As much as I love festivals and live music, rarely do I find myself feeling in any way compelled to watch highlights of an event – there’s just something about raw musical performance that seems to get stripped away once it’s beamed out of a field full of a sweaty, grimy people, whose only care is sharing in the collective now of the moment. In their promo celebrating 10 years of the UK’s In The Woods Festival, the talented bunch of folks over at Mad Ruffian have somehow managed to imbue their projection mapped film with that unquantifiable spirit of ‘festivalness’, to create a film which not only pays homage to In The Woods’ musical history but also transports you into the very heart of the action. 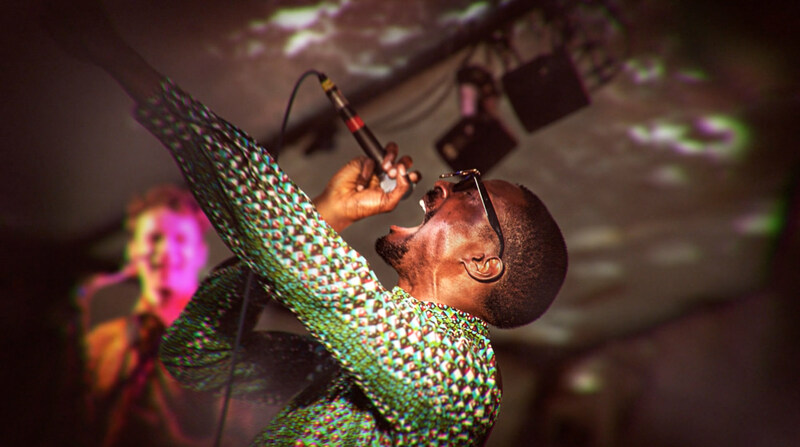 Mad Ruffian Creative Director Christopher Watson­-Wood shares how they recreated the live music atmosphere by combining live photography with a new twist on projection mapping. How did you manage to convey the transformation the stills would go through when pitching to In The Woods? Was there a specific brief you were reacting to? There wasn’t much of a brief, to be honest. They wanted a new promo for the festival, and it had to embody the spirit of the festival. I had worked closely with the commissioners in the past, and so they trusted me enough to explore and create my own concept for the film. I really wanted to romanticise the festival experience, but also try and get across the spiritual experience one has while attending a festival. In and among all that energy is an air of communal oneness that is often lost when watching back over edited footage from a festival. So my idea was to create a frozen world where the camera could naturally float through the festival space, fully immersing the viewer in the emotional charge of each scene. This would be achieved by capturing the frozen moments through still photography live (I felt it had to be live for authenticity) at the festival, and then painstakingly modelling all the elements and people in these photos to create fully 3D scenes (which would give us the freedom I wanted.) So we had the idea, but of course I had to pitch the idea to them, and get them sold on it. They loved the idea, but found it hard to imagine what the finished film would look like, so the hard sell (in a sense) was explaining how the finished film was going to look and feel and, because the technique (projection mapping / camera projection) is usually used to add a 3D camera move to 2D painted matte paintings, I couldn’t find anywhere where it had been done in the same way, so giving examples wasn’t easy. The projection mapping technique you use feels like an evolution of Yorgo Alexopoulos’ The Kid Stays in the Picture effect – was that a source of inspiration for you? Actually, it wasn’t! That would have been a good reference however, I actually approached it from a slightly different angle. Initially, I drew inspiration from time-slice photography effects that were famously used in The Matrix. The bullet time / time slice technique used in the film is, essentially, a large array of stills cameras set up a few inches from one another and, when they all capture a photo at the same time, they can be edited together to create the illusion that the camera is moving around a frozen scene. I looked into the plausibility of using this technique at the festival, and quickly realised it didn’t have the flexibility and mobility I needed (not to mention, the budget.) I needed to be able to capture the images live and spontaneously and wanted to have more control over the motion of the camera than this technique allows – so, ultimately, I felt the only solution was to try and achieve the effect I wanted using VFX, by rebuilding all the scenes in 3D. Of the 100s of images you shot what were the selection requirements which whittled it down to the final 12 images used in the film? Were there characteristics which made those images more suited to this process? There are certainly some images that were easier to model and manipulate than others, but I tried to not let that restrict us creatively. It is my opinion that the biggest selling point of the festival is that it has managed to keep itself very small and extremely intimate while simultaneously managing to book incredible bands (Alt-J / Lianne LaHavas / Slaves / Young Fathers). So I tried to select photos that reflected that. Notice that all the photos selected are up close and personal with the performers? While shooting, we tried to get as close to the performers as possible without getting a punch in the lens! 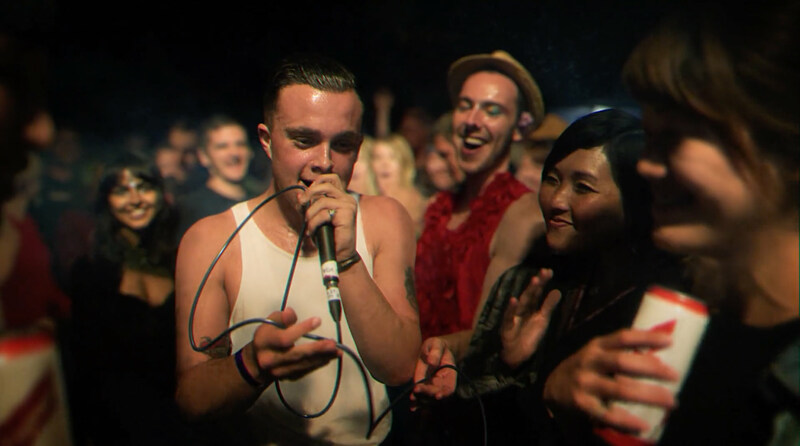 The shot of the singer from Slaves performing in among the crowd perfectly sums this up. This was taken from a genuine live photo. Isaac (the singer) and the crowd around him are all smiling and enjoying that moment together. So, even though the scenes with lots of people in them (like that one) took a long time to model and texture, it was totally worth the hard work. We tried to get as close to the performers as possible without getting a punch in the lens! How much of the final effect was as planned vs discovered through experimentation? The technique for using the still photos to create the 3D scene was tested beforehand and we knew that would work before shooting, however there are always things you discover along the way, which you don’t necessarily anticipate in pre-production! For instance, in post we actually had to create fully CGI hair on a couple of the shots to get them to look as real as possible, which was only something realised after texturing the models and seeing that they really needed that extra level of detail. The most improvised part of the film is the energy effects at the end – I knew early on that I wanted some sort of energy life-force enveloping the scenes at the climax of the film, but I didn’t know exactly what that would be. It took a lot of experimenting, and in the process we created lots of custom effects in Houdini. I eventually decided which FX I thought were working with the concept and then worked to develop and refine just those. It’s hard to say because there was never one length of time where we could work on it for a good push until the end! There was no budget from the commissioners to make the film (as it is a very small, independent music festival) so it was paid for entirely by Mad Ruffian and, before that, just me spending countless hours made of spare moments that I could devote to creating it. The photographs in the promo are from 2012, 2013 and 2014 (and my concept for the promo was dreamt up before the 2012 festival) so, all in all, it’s been about a 4 year process. In 2014, Mad Ruffian and Ruffian Post were established so, although we had many exciting projects in that timespan, production of the promo virtually ceased entirely until the end of 2015 – at, which time, I had the benefit of many talented Ruffian artists on board to help finish it for the 10 year anniversary release. What are Mad Ruffian turning their hands to next? We have lots of great clients and work for them on commercials and other music videos, but our next truly Mad Ruffian project is a hilarious and borderline risque music video for the band, Francobollo. Can’t say much about it except that it is a mix of live action and CG in a love story about an unlikely CG character who falls for an unobtainable real-life hottie. The guys in the band are so funny and already the collaboration process has been hysterical. We plan to shoot in early June and it will probably require about two months of post production and animation. Keep an eye out for it around the end of July on our Vimeo and madruffian.com / ruffianpost.com websites!